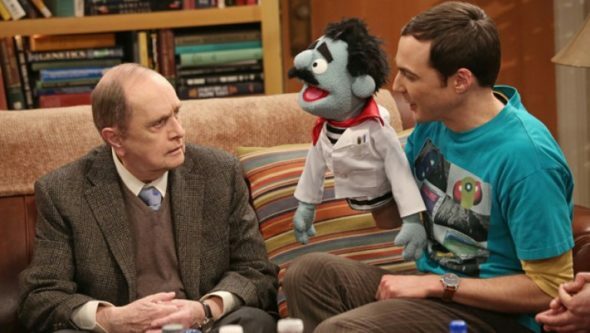 A familiar face is returning to The Big Bang Theory. TVLine reports Bob Newhart will guest on the 12th and final season of the CBS TV show. Newhart recurs as Professor Proton on the hit sitcom, which also stars Kaley Cuoco, Johnny Galecki, Jim Parsons, Mayim Bialik, Simon Helberg, Melissa Rauch, and Kunal Nayyar. His character died in season seven but has since popped up as Sheldon’s “Obi Wan”. The 12th and final season of The Big Bang Theory premieres on CBS on September 24th at 8 p.m. ET/PT. What do you think? Do you watch The Big Bang Theory? How do you want the series to end? More about: CBS TV shows: canceled or renewed?, The Big Bang Theory, The Big Bang Theory: canceled or renewed? A poor decision to end it this coming season. It had a couple more in it. I will miss the Big Bang Theory. I really enjoyed watching it. I thought Mr. Newhart’s character on “The Big Bang Theory” passed away. The show had the character’s funeral. I will be very sorry to see this show end. I binge-watched all eleven seasons this summer so I could be up-to-date on the show and now it’s ending! So sad. Jim Parsons is the one who wants to quit.